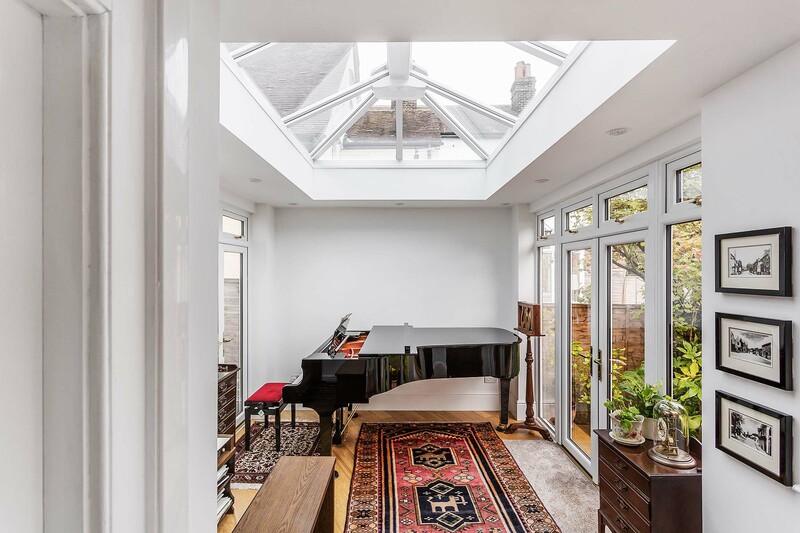 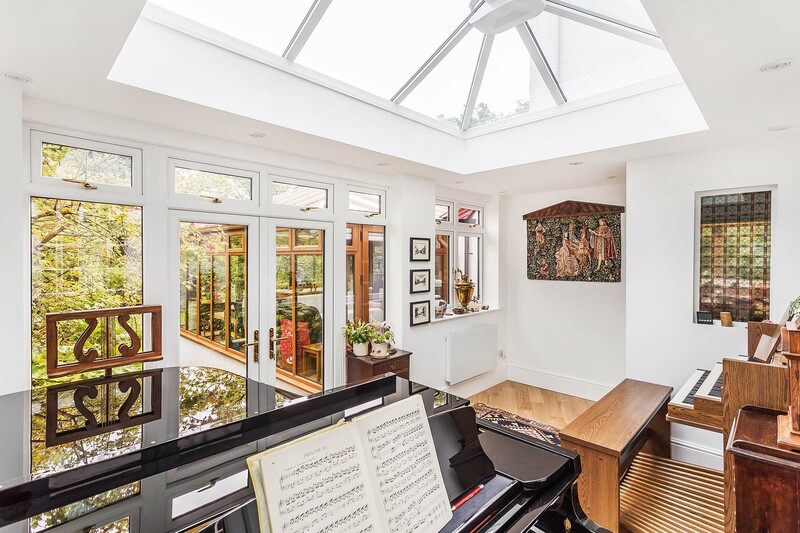 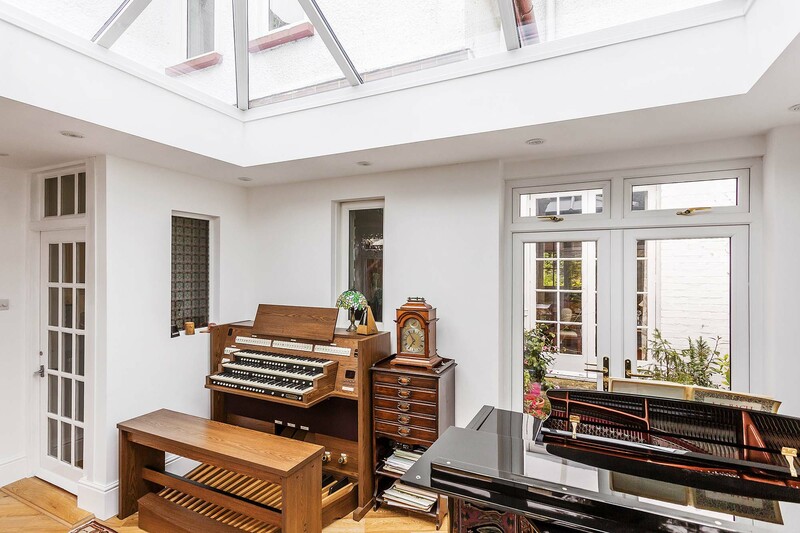 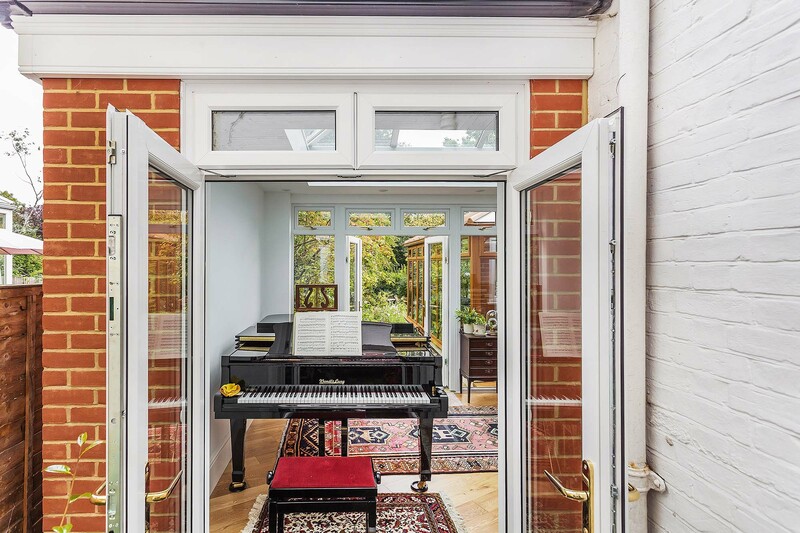 For Mr & Mrs Holmes the brief was to create a stunning music room to house their grand piano and organ. 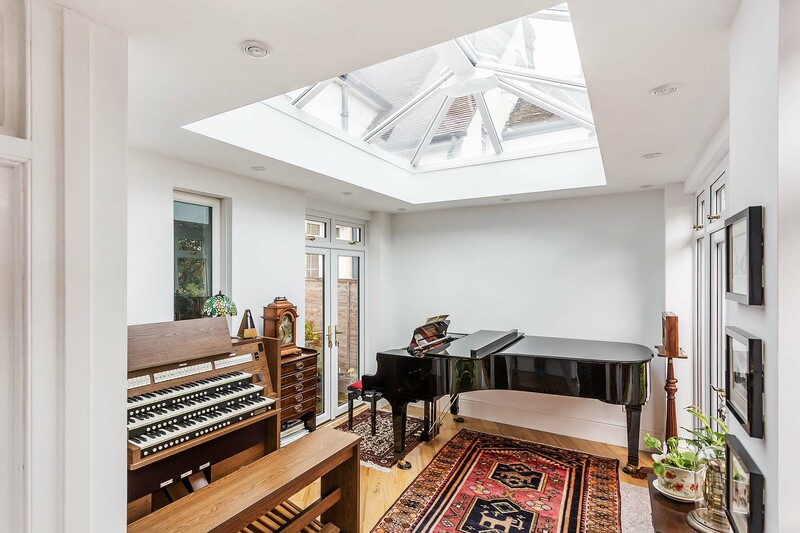 The design was extremely important as the build needed to be sensitive to their instrument collection and allow them to maintain an even temperature to facilitate that but also give them a space that they could use as a practise room to enjoy playing music all year round. 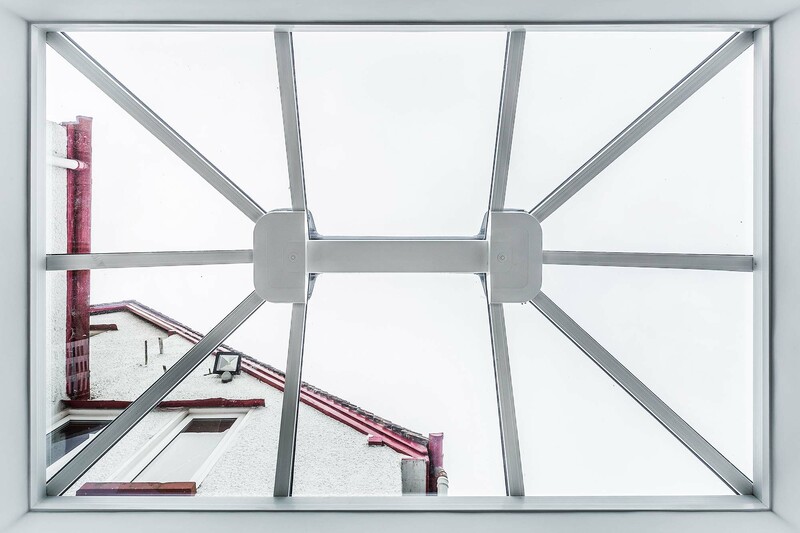 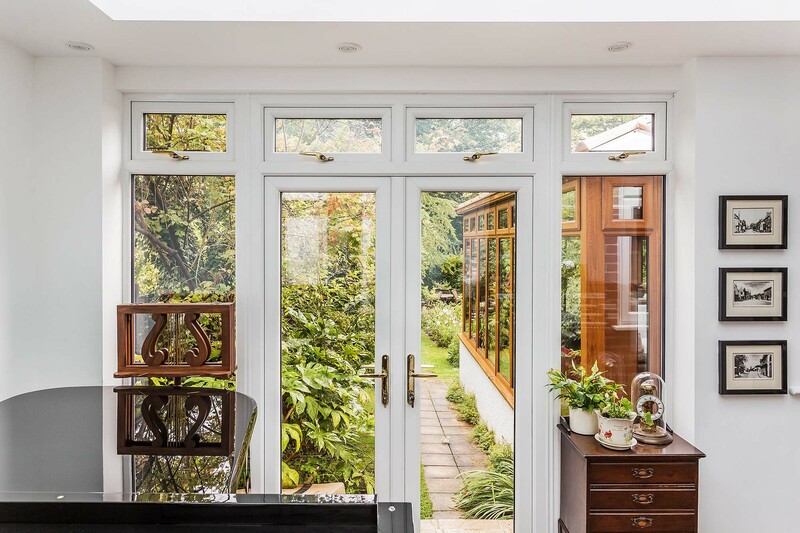 Installing two sets of double doors means the orangery can be opened and flow into the garden in the Summer whilst with the installation of a lantern roof light floods into the property all year round making it a bright and airy place to enjoy and use, even in winter months. 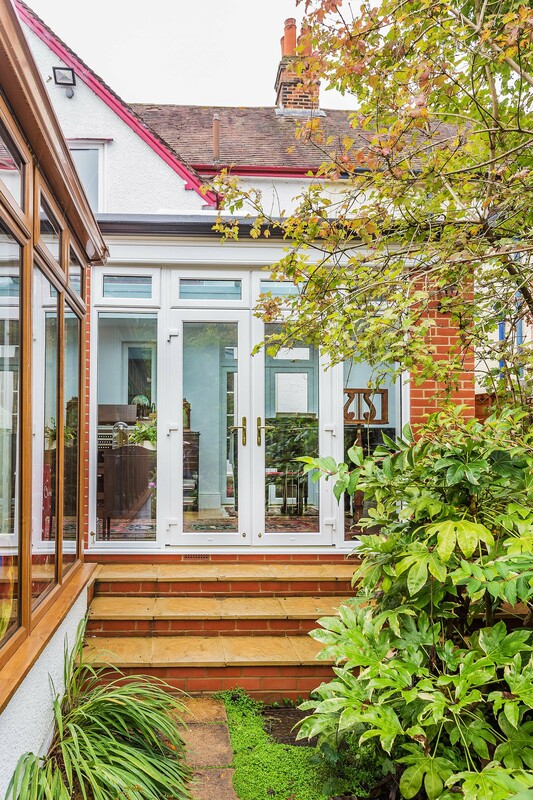 The insulated perimeter aids with keeping the temperature balanced and allows for the discreet additional lighting we installed whilst the exterior was designed to compliment and reflect the original property with attention to detail in flooring and stonework throughout. 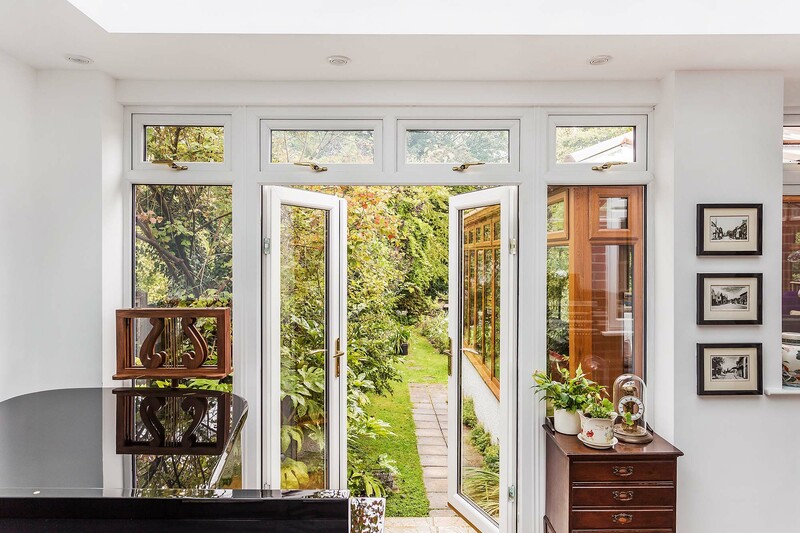 Step access to the garden was designed to be aesthetic and visually sympathetic to the existing lines of the property giving a feeling of flow and connectivity from the original property through the new build and out into the garden.